New Astonishing 3-D works by Louis St.Lewis of Mind Bending proportions. "A true originality that slaps you directly across the face." 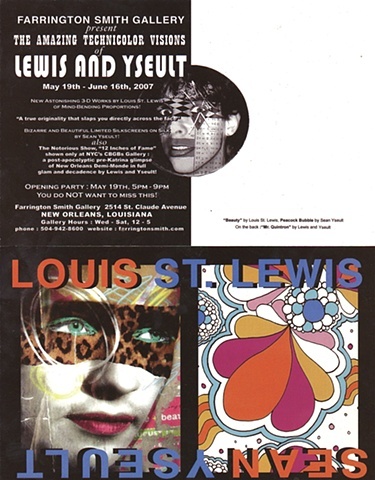 The Notorious Show "12 Inches of Fame"
a post -apocalyptic pre-Katrina glimpse of New Orleans Demi-Monde in full glam and decadence by St.Lewis and Yseult.